So you've landed in the Portuguese capital, checked in to your accommodation, seen the main sights and now you want to spend some of those hard-earned Euros, but where? 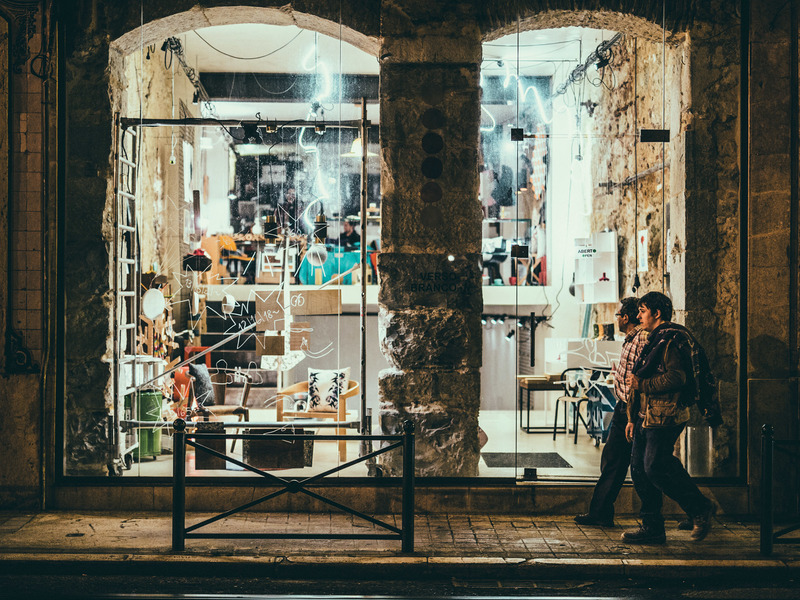 Lisbon's shopping is second to none, with everything from quirky little stores selling traditional trinkets right up to more contemporary boutiques and swish stores that stock all the latest fashion, technology and gadgets. 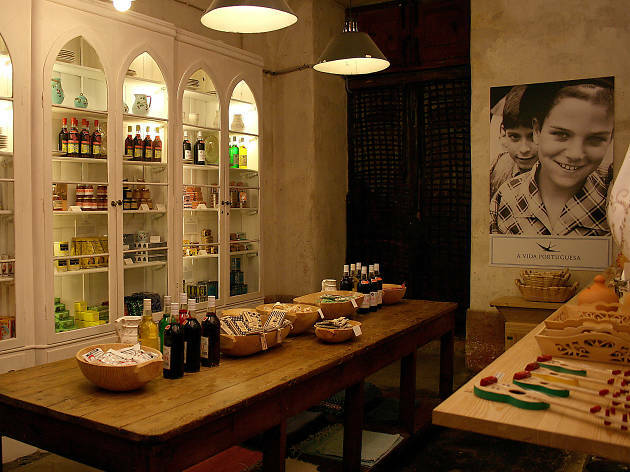 Opened in the mid-1920s as an old-style drugstore in the Baixa, almost a century later Silva & Feijóo looks pretty different. 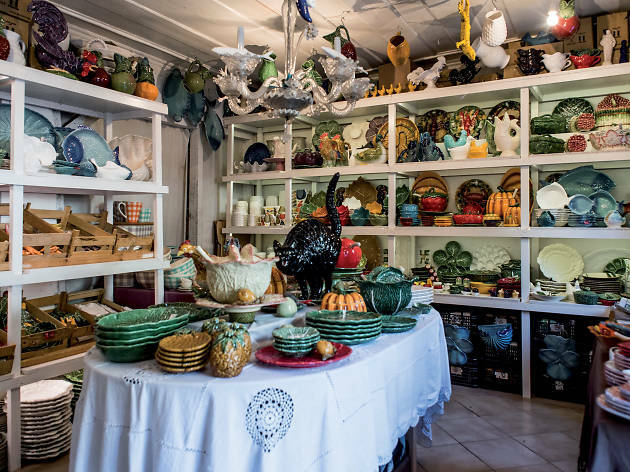 It has grown, modernised and multiplied: there are now three stores selling everything from fine foods made in Portugal, such as tinned seafood, compôtes and olive oils, to pretty souvenirs such as pottery sardines, perfumed soaps and children's toys. This is the type of store that is hard to define – but it is worth trying to. It stocks pieces by Portuguese artists, imported homeware and lots of original but affordable potential presents. The selection is extremely eclectic, ranging from ceramic pieces by the likes of Graça Pereira Coutinho to the kind of children’s books that adults also love, and lightboxes bearing various quirky messages. A great place for last-minute souvenirs. Vintage Portuguese products displayed in a lovely store in the centre of the city that was founded by a former jornalist – that sums up ‘The Portuguese Life’. It stocks wooden toys of the kind that children have long delighted in, traditional local brands of soaps and perfumes from the first half of the 20th century, and elegant crockery of the kind that is still used in Portuguese grandmothers’ homes. There are three branches of the store dotted around town, with lots to choose from. Certain vintage Portuguese brands and products were all but disappearing from the national market (and memory), when a former journalist decided to inject new life into them by opening this showcase, whose name means 'The Portuguese Life'. Here you'll find everything from tableware to canned goods, carpets to soaps, children's games to posters with political slogans. It is the perfect place to spend your spare cents on a souvenir of Lisbon to take back home – or just to visit to get to know Portuguese culture for free. The‘Embassy’ has rooms fit for a state reception, high ceilings as required by protocol, and top Portuguese brands (plus some foreign ones) diplomatically arranged over two floors. 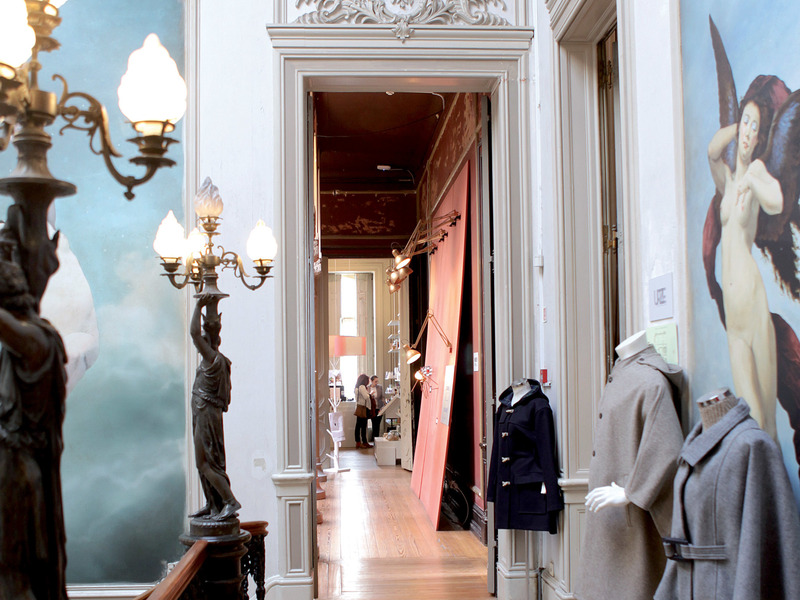 It was in 2013 that locals were introduced to the concept of shopping in an 18th century building; three years on it has just got better. There are made-to-measure suits by UOY, fine shoes from internationally renowned Portuguese model Armando Cabral, bikinis and swimsuits by Latitid and acessories at Linkstore. Embaixada also stages temporary exhibitions, and you can eat well at in-house restaurant LESS. One of the most important parts of Portugal for pottery production and creativity has long been Caldas da Rainha, in the Oeste (West) region. This store offers some of the best pieces from various Portuguese factories, studios and local artisans’ workshops. There are platters, plates, cups, butter dishes, salad bowls and more, in all colours and finishes. There are also purely decorative pieces such as a bull's head to hang on the walloracoycattoplaceona dresser. The brand is Portuguese, but with inspiration from all over the world. 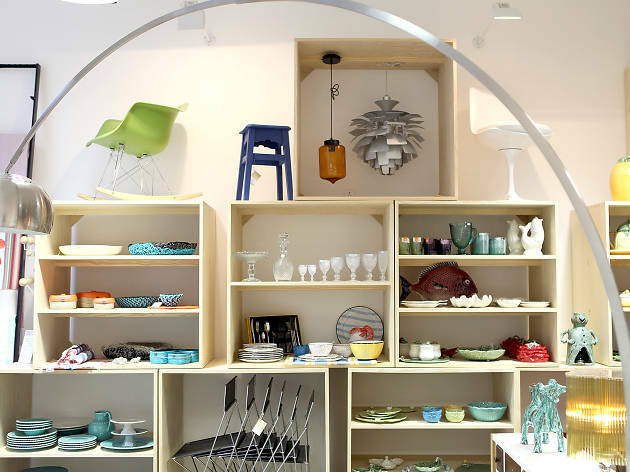 The colourful items on display lure in passing custom; once inside shoppers can browse among various ranges, from refurbished old furniture and pieces designed from scratch to cushion collections and notebooks in bright hues. There are also products from other brands – rugs, beach towels, crockery – that make for excellent souvenirs. 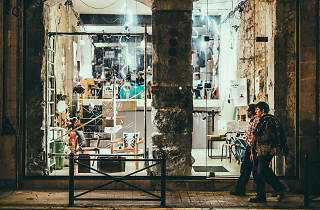 This shop overseen by fashion model Raquel Prates is a complex cocktail that takes some explaining: hot Portuguese designers, selected original pieces, items that capture the very latest market trends, and one or another foreign labels that are making waves among bloggers and celebrities. It has accessories, shoes, bags, coats, swimwear and more – all of it great. 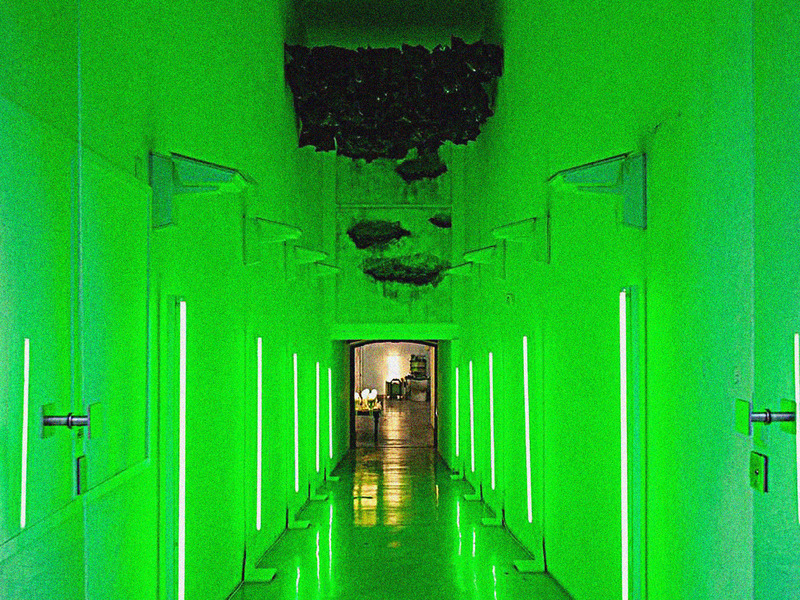 This recently inaugurated space is both store and art gallery, divided by a flight of stairs. 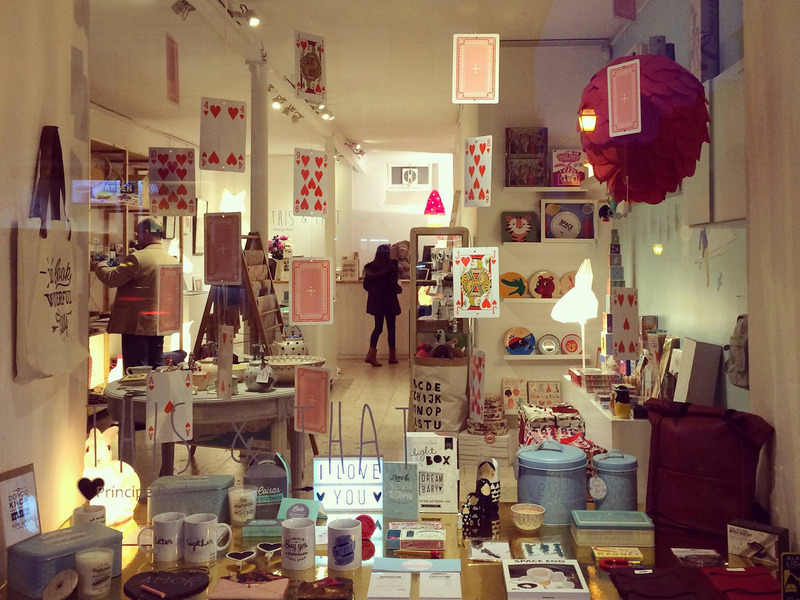 The shop window is large enough for you to glimpse the creative chaos inside, with lots of good Portuguese design, including decorative items and acessories. 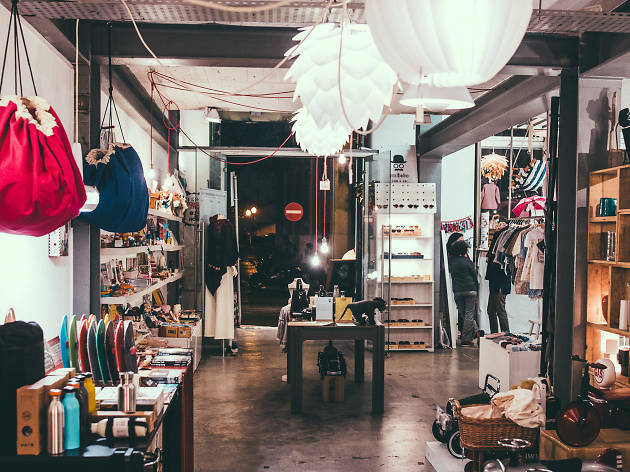 Leading designers such as Fernando Brízio and Rute Gomes have pieces here, but Verso Branco also serves as a showroom for young designers, so you are likely to find items that have just come onto the market.